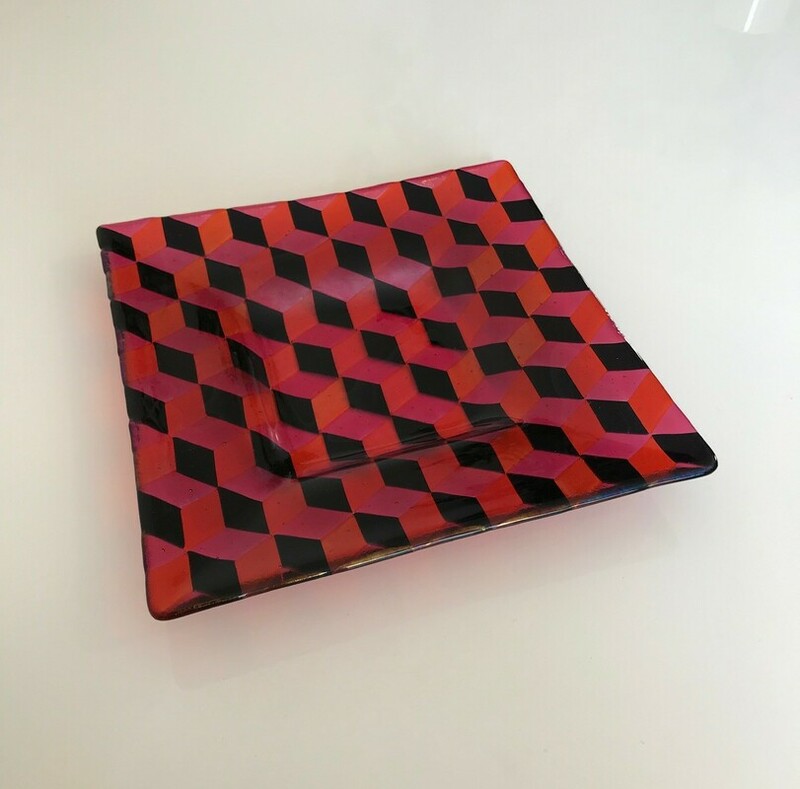 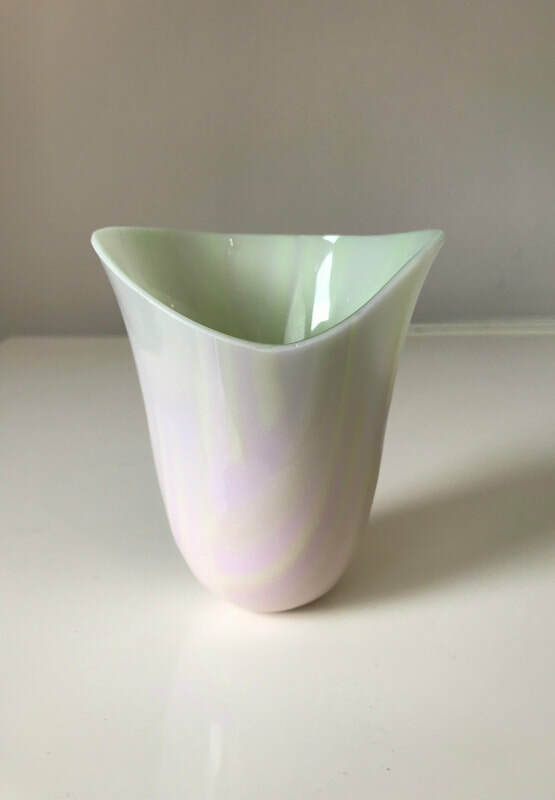 I make a range of individual fused glass tableware pieces and vases. 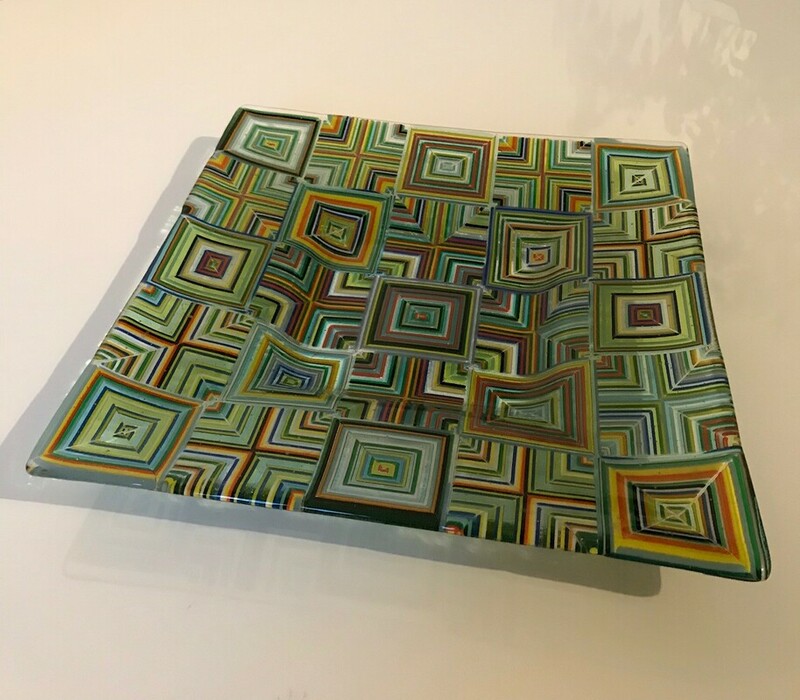 The focus of my work is the exploration of colours and patterns and how in combination they can be exploited in the unique properties of the glass medium to create interesting and beautiful optical effects and illusions. 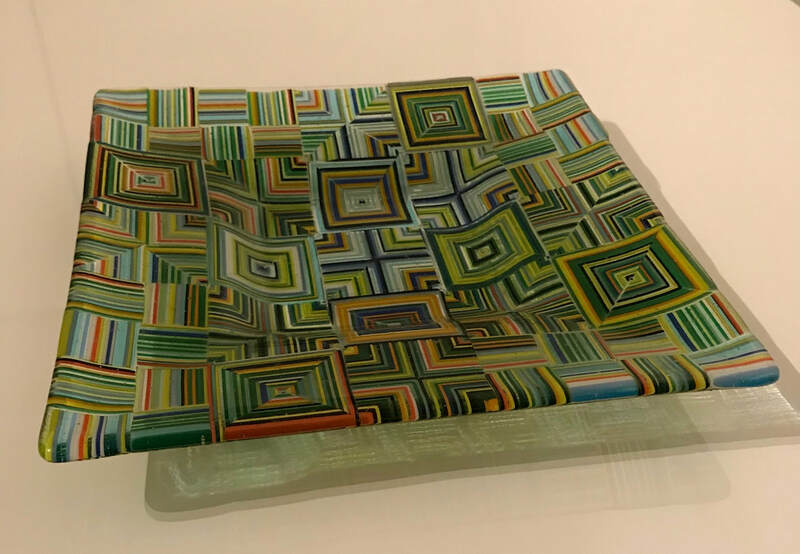 I am a student of kiln formed glass at Richmond Art School. 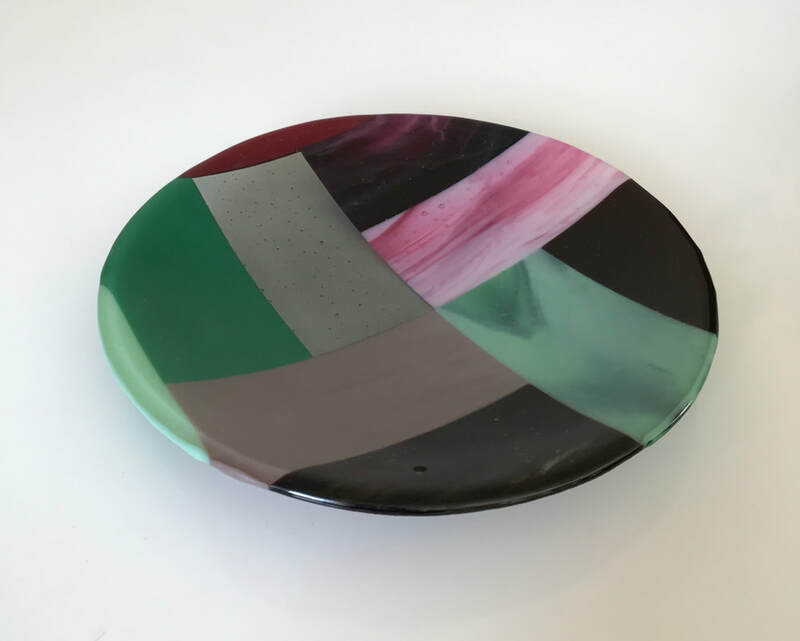 The great tutoring and facilities have allowed me to learn and explore a wide range glass techniques with my current focus now being on glass fusing.